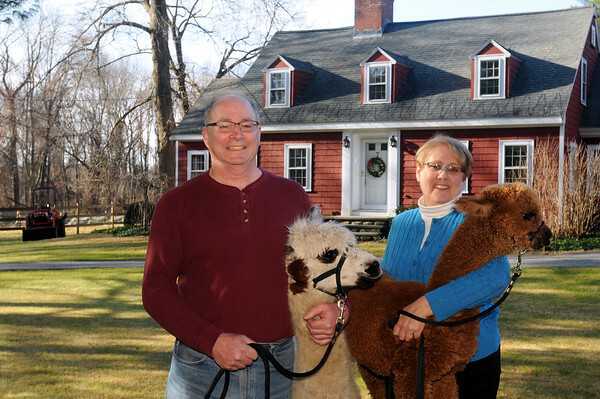 Tom and Jen Boshar of Andover, owners of Big Red Acres Registered Huacaya Alpacas, have a family photo taken with two of several Alpacas they own. Tom holds Tabitha, the mother of Apollo being held by Jen. A baby Alpaca is called a Cria.